Where will you travel to in 2018? Be safe while you are there! In 2017, about 79,767,026 United States citizens traveled internationally. Traveling has increased in popularity over the years and the industry grows every year. Traveling is exciting and fun, but it is important to stay safe and healthy while at your chosen destination. Whether you are traveling for work or adventure, take a look below for some safety and health tips while traveling abroad. Travel Advisories: Are you traveling to a safe location? The U.S. Department of State – Bureau of Consular Affairs issues travel advisories for each country. There are four levels based on safety and security risk. Where does your destination land? STEP: This acronym stands for Smart Traveler Enrollment Program. It gives travelers information and updates about their location. It also allows the U.S. Embassy to contact you in the case of an emergency. Weather: What’s the weather like? Does it rain often? Is it tropical storm season? Bring appropriate clothing and have a plan in the case severe weather conditions occur. Medications, Vaccines, and Hospital Availability: Will you be bringing medications with you? It is advised to carry a doctor’s note that describes your medical condition, leave your medications in their original container with a clear label. Check out your destination’s drug policies to see if your medications are allowed. Another tip to consider is to see what vaccinations are recommended for traveling in general or for your particular destination. You should also have a plan if you do happen to get ill or injured. Find a doctor or hospital to go to and see if your insurance covers you while abroad. It’s important to be prepared. Food Safety: Avoid foodborne illnesses and other diseases by practicing good eating and drinking habits. Safe foods are typically thoroughly cooked and hot. Packaged foods are also typically safe to eat. Bottled and canned beverages are also safe to drink. However, make sure bottles have not been tampered with and wipe the mouth of the can clean before drinking. Raw food, tap water (and ice made from tap water), and fountain drinks can be risky. Also use precaution when eating from street vendors as they may have decreased hygiene standards. Belonging Safety: We all may have heard stories about belonging getting stolen while traveling. To avoid having your own belongings taken, don’t keep everything in one place. When going out, only bring the necessities and do not carry them in your back pocket. If you are carrying a purse or bag, keep it toward the front of your body. If you happen to be in a situation where someone is trying to take something of yours, it may be best not to fight for it. Although this may be hard to do and not your first reaction, you should remember that your safety is more important. Money: What kind of money is used (i.e. Euros, Pesos, British pound)? You may wish to pick up some currency at your U.S. bank to reduce the cost of exchanging dollars into local currency overseas. Research the use of credit cards if you plan to use one. Call your credit card company to let them know you are traveling or your card may be declined overseas. While these tips do not cover all areas of travel health and safety, they are a good start! We hope that this information will provide a safer and healthier experience while traveling abroad. Guided walking and bus tours of London to places such as Parliament, Buckingham Palace, Big Ben, Shakespeare’s Theatre, Convent Gardens, etc. Meeting with a Master’s prepared nurse specializing in Pediatric Palliative Care. Site visit at the Good Care Group focusing on elder care in the community setting. Cultural excursions included: London Eye, River Thames cruise, Tower of London, plus others. Multi-cultural dining experiences included the popular fish & chips and an Indian dinner. Make Every Day World No Tobacco Day! Every year on May 31st, the World Health Organization (WHO) sponsors World No Tobacco Day. The purpose is to spread awareness about the dangers of tobacco. Tobacco is the largest preventable cause of death in the United States. Around the world it is the cause of death for almost 7 million people. Cancer, heart disease, stroke, COPD, and lung disease are just a few health conditions that can be a result of tobacco use. Read the following facts to get an idea of how serious tobacco use is. In the United States, 480,000 deaths per year are caused by smoking. 41,000 of those deaths are victims of secondhand smoke. In the world, 890,000 of the 7 million deaths per year caused my tobacco are victims of second hand smoke. Smokers die about 10 years earlier than those who do not smoke. At the current smoking rate for American’s younger than 18, one in thirteen are expected to die prematurely. Preventing tobacco use in middle school and high school students is an important part of stopping tobacco use. They are more at risk for nicotine addiction and are more likely to smoke into adulthood. Cigarettes, smokeless tobacco, hookahs, and electronic cigarettes are just a few of the tobacco products common in this generation. What is happening to reduce the harmful effects of tobacco? Ideally, everyone who uses tobacco would quit, but that is a tedious process. One thing that has taken a step toward ending tobacco use is taxes. Higher taxes are used to discourage smokers from buying tobacco as many tobacco users are in low-income communities. Another tactic is the use of anti-smoking commercials. Have you ever seen those commercials where individuals with a stoma are interviewed? How about the ones where tobacco users have to pay for their tobacco products with some of their skin? There are many more, but the intent of these commercials is to encourage people to say no to tobacco. Laws are another tactic used to avoid smoking in public places. These laws are used to prevent harmful effects of secondhand smoking unto those who choose not to smoke. Do you or someone you know use tobacco? Become educated about all of the health risks associated with tobacco whether you do or do not use it. There are places to go for help to quit smoking. Becoming educated about all of the benefits from quitting tobacco will amaze you. Our bodies start to heal almost immediately after quitting. Tobacco affects everyone and the best way to prevent those affects is to eliminate tobacco use all together. The benefits of quitting can begin to happen in as little as 20 minutes and continue throughout life. Encourage your friends and family to be tobacco free! 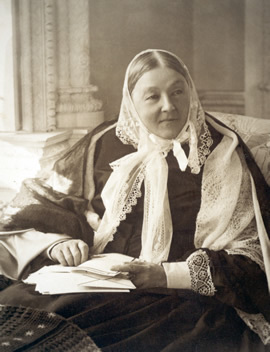 Florence Nightingale is an important figure in the world of nursing and healthcare. She was born in May of 1820 and belonged to a prosperous British family. From a young age, she believed her purpose was to become a nurse, administering aid to the poor and the ill. Her parents were unsupportive of her career decision and were disgruntled by her refusal to settle down and marry a man of social affluence. Florence wasn’t distracted from her goal and received her nursing degree at the Lutheran Hospital of Pastor Fliedner in Kaiserwerth, Germany. Florence worked as a nurse in a hospital at Constantinople during the Crimean war in 1853 and worked to improve on the unsanitary and inhumane living conditions of the wounded soldiers there. She tended to their wounds and illnesses during every time of the day, earning her the nickname “the Lady with the Lamp.” Once the war was over, Florence returned home to the praise of the public, earning awards and monetary prizes from the Queen and the British government. Throughout the rest of her life, she campaigned for the improvement of health standards and hospital designs, as well as for the reform of professional training for nurses. Florence remains a notary figure today whom many people still consider to be an important role model. Florence Nightingale survives in our history as an inspired nurse and a compassionate statistician. She changed the world of nursing and will always be remembered as an important figure in healthcare and nursing. International Nurses Day is celebrated worldwide every May 12, on the anniversary of Florence Nightingale’s birth. It is celebrated to recognize the life-changing contributions nurses make to society. Though mainly commemorated around May 12 each year, IND activities are carried on throughout much of the year by nurses and others. In addition to International Nurses Day, the United States also celebrates National Nurses Week. The first time the suggestion to create this week was in 1953. It failed. It was suggested again in 1954. It failed again. The next time it was suggested to the president was 2 decades later in 1972 when it finally passed. The American government also decided to honor Nightingale by finishing off a week of awareness on her birthday. Some of the goals of these two events are to improve the image of nurses while also influencing healthcare policies around the world. One of the easiest ways to show your respect and to help these goals is to say thank you to a nurse you know or meet. This Saturday there is going to be a series of marches and protests occurring in 358 cities in the United States and over 500 world wide. The March for Science is the first event of it’s kind. It is a call for support from all students, science-based careers and anyone who benefits from scientific advances (psst that’s everyone). It’s a nonpartisan even that is urging policy makers to look at evidence based practices and scientific data to influence their policies and ruling instead of money. You can find a city near you here that is holding a march. The Fargo/Moorhead area is holding a large one that is expecting several thousand visitors. Here are some of the missions or goals that the March for Science hopes to achieve. Evidence-based policy and regulations in the public interest. They wish for policy makers to make decisions not altered by other agendas. Cutting-edge science education. They believe that a science background isn’t only for a select few, the entire majority of the population should be able to interpret scientific literature. Diversity and Inclusion in STEM. This comes into play with the previous mission, they wish to have an outreach in education. Open, honest science and inclusive public outreach. Several policies that have been passed recently have banned or limited the exchange of scientific literature and dialogue. By restricting access to the newest information, the governmental body is harming it’s people. Funding for scientific research and its applications. Under the proposed 2018 budget, all scientific bodies with federal funding will see a cut from 10% to 31%. They wish to change so that we are capable of producing more advancements. In the few months that this has been planned, they have partnered with over 300 different scientific agencies and centers. Here is their page for the MN marches specifically. They have several social media accounts; check them out on Facebook, Twitter,and Instagram. Take a deep breath, now let it out. The air you just breathed in was probably refreshing at best, tolerable at worst. You might have noticed the onion or tuna you ate, but that was the worst of it. The next time you drink water, look at it. Is it clear? Probably. Is it colorless? Again, most likely. Is there water in your cup? Well duh. Never before have these two things been at risk before, drinking and breathing, in the human existence time frame. With the help of globalization and a population boom, humans are having a profound effect on the world. We haven’t had to come to terms that it won’t last forever, because we’ve never had to worry about that in the past. For the first time in human existence, carbon levels have risen above a threshold it has never crossed before. It didn’t just stop there; the current levels of carbon are sitting at 133% of that threshold. This rise in carbon is having an increased effect, often called the Greenhouse Effect. Due to this warming, there are many changes that are taking place in the world. Professor Wallace recently gave a seminar on climate change here on campus and the effects that it has on human health. In her presentation she introduced us to some interesting points. A warmer world, even by 2 or 3 degrees Celsius shifts the mosquito habitat. More people will be exposed to mosquito borne disease and for longer times; Zika, Yellow Fever, Dengue, West Nile and the list goes on. Currently 3.6 billion are at risk for these diseases. With a temperature increase that number could rise up to 5 billion. Allergies will worsen as their window widens also. Flooding will increase, as will hurricanes and tornadoes. Some cities have to issue warnings over smog exposure. It is estimated that of the 10 million deaths every year in China, 1 million is caused by pollutants. Exposure to all these new chemicals is wreaking havoc on our bodies and the environment. In addition to this smog exposure, there is an increasing amount of people with other respiratory problems such as asthma. In 2001, 1 in 14 people had asthma. In 2009, 1 in 12 people. That is the most recent number, although the CDC projects that as many as 1 in 10 people have asthma today. The goal of Earth Day is to bring awareness to all these issues. It is trying to create scientifically literate people who will in turn be scientifically literate voters on environmental policies. They aim to change the direction of the world towards more green energy, jobs and technology. They hope that by 2020 a majority of the population will be able to understand the scientific literature that affects their lives and environments. The first Earth Day was held in 1970, and attendance was well above what anyone was expecting. 20 million people, roughly 10% of the population, joined the rallies and marches. It has been one of the most effective awareness days because it is bipartisan for the most part. After that first celebration, the government felt pressured into creating the Environmental Protection Agency and the Clean Air, Clean Water and the Endangered Species Act were also created. Here are some more facts about Earth Day and our environment. The Montreal Protocol signed in 1987 banned many chemicals that were ripping a hole in the ozone. Thanks to that act, the ozone is now healing and the hole is closing. A convention was held in 1997, the Convention on Biological Diversity. Here many countries around the world pledged that they would work to sustain a diverse biosphere starting in their own countries. The Renewable Portfolio Standard is an aggressive self- proposed bill in California that says that the state has to get half their energy from renewable sources by 2030. Many states followed, but theirs is the most ambitious. In 2012 the Earth Day Network planted 1 billion trees to try and bring back forested areas. 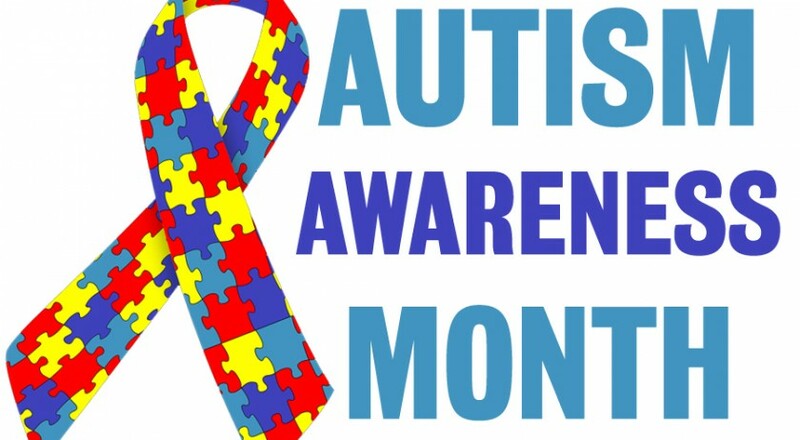 There are approximately 3.5 million people living with autism in the United States, affecting about 1 in every 68 births. The rate in 2004 was roughly 1 in every 125 births, showing that the occurrence rate has doubled since then. As more and more American families are being affected, the nation has to decide how to best service these families and their needs. Autism Awareness Month hopes to increase the 4 A’s and an I of Autism; Awareness, Action, Acceptance, Appreciation and Inclusion. One of the driving reasons for wanting these five things is to make them feel human and a part of society. This is important, because legislation that affects their lives is being written right now by people that don’t know much about this disorder. They don’t have the proper background to make informed decisions, which this month is trying to change. The symptoms of autism usually become prominent in ages 2 to 6 years. The National Institute of Child Health and Human Development (NICHD) has five behaviors that parents should watch for and use as indicators for further evaluation. Having even 1 or 2 of these symptoms is not a diagnosis. You need to bring your child to a panel of specialists that know more about the disorder and how to diagnose it. These are just behaviors that suggest you should do this. There is for no for certain cause for autism at the moment. The main things that are thought to play apart in the development in autism are genetics, epigenetics (gene folding due to a shifting environment) or a possible comorbidity with other genetic diseases. It used to be thought that it developed after a traumatic event in their childhood, but that has been disproven. It is also currently thought that certain immunizations cause autism to develop, but numerous epidemiological studies have disproved that belief. MSUM is having an Autism Documentary and Panel night on campus to help raise awareness. It will be in Langseth 104 at 7pm this Monday April 7th. They will be a film followed by a panel for any questions. One way that you can show your support for this month is by wearing the unrecognizable puzzle ribbon. The Autism Society sells the ribbons here and the proceeds go towards research and aid. If someone approaches you, don’t turn them away. Take this moment to educate them. If you are unsure of something, say so instead of spreading false information.